Book review: "Cuba and its Neighbors – Democracy in Motion"
October 4, 2013	11:40 AM CDT By W. T. Whitney Jr. Many justice-seeking North Americans are standoffish about Cuba. Residual red scare and Cuban ties to the former Soviet Union plus perceptions of a top-down governing style often serve to distract them from democratic realities there. 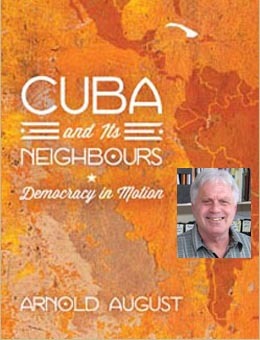 Veteran Cuba watcher Arnold August, based in Montreal, has authored a book, reviewed here, that establishes the fact of Cuban democracy. “Cuba and its Neighbors – Democracy in Motion” enables the reader to broaden his or her understanding of Cuban political life. Biases may slacken, and silence on U.S. assaults on Cuba may become less tolerable. The author took on an immense task. Relying on interviews with Cuban activists and analysts, he surveys particulars of Cuba’s recent political evolution. 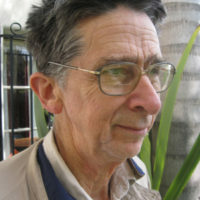 He draws upon Cuban history and reviews democratic and socialist innovations unique to Venezuela, Ecuador, and Bolivia – and touches upon the seemingly fixed limitations of U.S.-style democracy. His narrative, at times slow moving, is factual, coherent, and non-polemical in tone. August characterizes democracy as an ongoing, unfinished process. He prioritizes political participation by all but would exclude those bent on accumulation. He applies these parameters to features of revolutionary struggle in Cuba from slaveholding and colonial times to the present. Political participation and strivings for unity and consensus are constant themes. Social justice was on the agenda of Cuba’s independence wars in the 19th century. The author shows how constitutions written then influenced Cuba’s 1976 Constitution. August pays homage to the mentoring and ideological legacies of liberation hero José Martí. Revolutionary stirrings of the 1930’s receive attention. Cuba’s Communist Party is portrayed as unique: its model was Martí’s Cuban Revolutionary Party. Two non-communist revolutionary organizations and the former Communist Party joined in its formation in 1965, and the party claims no role in electoral politics. August indicates the new revolutionary government took reassurance from majority opinion that old-style elections could be dispensed with. Democratic openings flourished, among them: the Federation of Cuban Women, the Committees for the Defense of the Revolution, the 1961 literacy campaign, and a people’s militia. The 1976 constitution, however, set forth ground rules for elections to municipal assemblies, provincial assemblies, and the National Assembly. Planners had considered and rejected Soviet Bloc parliamentary and electioneering precedents. Constitutional reforms in 1992 provided for popular election of half the delegates of the National Assembly and barred the Communist Party from naming members of nomination commissions. As one of his signal contributions, the author describes parliamentary structures in revolutionary Cuba in some detail, and explains how elections work. He contributes also by highlighting community meetings where big problems are discussed and solutions debated. Attended by almost every adult Cuban, these sessions taking place episodically across the island have yielded recommendations showing up later as decrees and legislation. They materialized prior to a referendum approving the 1976 constitution, again in 1991 in anticipation of constitutional changes the following year, in 1994 amidst economic crisis following the demise of the Soviet Bloc, in 2007-08 as troubles with social security, food production, and low wages loomed, and in 2010 as the Communist Party prepared “Guidelines” for dealing with economic challenges and strengthening Cuban socialism. August cites consensus emanating from these instances of participatory democracy as justification for the National Assembly’s frequent unanimous decisions. Municipal assemblies are prime venues for participatory democracy, August suggests. They are a potential tool for realizing the decentralization part of current reform efforts. Yet day-to-day functioning of the assemblies is inadequate to the task, he reports. They have difficulties in attending to local needs and taking on administrative tasks performed by the central government. “People’s councils” that assume governmental responsibilities have emerged in districts within municipalities. For Arnold August, movement toward democracy in Cuba proceeds on a rocky road. Bureaucracy and corruption are major obstacles. Tension prevails between hierarchy and popular sovereignty, discontent and consensus, and representative and participatory modes of democracy. We would note that stress, hardship, and shortages caused by U.S. economic blockade lasting half a century also are no help. August says he wanted “to provide readers with some tools for following the future situation [in Cuba] independently, without the blinders of preconceived notions.” He achieved this while also documenting that democratization has proceeded in Cuba over many years. The message is taken that Cuban democracy is unique, especially because pains have been taken to promote political participation, unity, and consensus on behalf of a socialist future. That’s perhaps one explanation for Cuba’s lonely survival as a socialist nation following disappearance of the Soviet Union, and for its capacity to withstand U.S. siege.